Which industries do you think will be the future drivers of growth in Brazil? Brazil has a lot of room for different sectors. There are a lot of areas in which we can have higher production than the rest of the world. We will certainly continue with the most traditional sectors; like for example shoes or textile. But at the same time, by stimulating the IT sector, we can aggregate high value to the service, we can improve telecommunications services, and we can aggregate value to products in the automotive sector which needs constant updating. There are things that Brazilians expect to have. 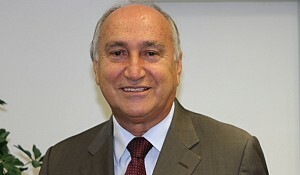 At CNI we are very interested in providing for the manufacturer the conditions to produce here in Brazil. As we have a very good reserve of oil today, it will be very important for our producers and manufacturers here to produce the products that the oil industry needs. So this is one very important sector. The other one is the energy sector. For example, Brazil is the largest producer today of ethanol from sugar cane. This is something that is good for Brazil and also good for the whole world. With the needs of the environment, it will be necessary to produce as much ethanol as possible. Our cars today use ethanol as gasoline. It is something that everyone else would be interested in. Another sector is the mining sector. Iron ore and other metals, as well as minerals, are very much sought out by other countries that do not have these commodities. It is important for us to continue with the mining sector and develop it, but using our machines, equipment, and all other necessary things for the mining sector. Technology to aggregate value to our products and commodities is very important. For the Brazilian government and CNI, which is composed of other entities that support the training and preparation of professionals for the industry, it is important to have technology to aggregate value. We intend to have a lot of programs for exchange with foreign countries to improve and accelerate the technology transfer to our industries. Brazil now has an important program called Science Without Borders, and CNI participates in this program. We will be responsible for the qualification of 6,000 professionals in the market. They will stay abroad for varying times, perhaps two or three months, or even two years; it all depends on the qualifications and what the industry needs. Brazil has a lot of room for different sectors. There are a lot of areas in which we can have higher production than the rest of the world. We will certainly continue with the most traditional sectors; perhaps, for example, we will continue to be shoe or textile manufacturers. But at the same time, by stimulating the IT sector, we can aggregate high value to the service, we can improve telecommunications services, and we can aggregate value to products in the automotive sector which needs constant updating. We are very worried about our small and medium-sized companies; they need help to get technology, to produce good products, and to aggregate value. This is something that we work on, such as program for partnerships with small and medium companies, we try to introduce new technologies to them, we support them in going to trade shows and going abroad. They need to be internationalized. With all the challenges that Brazilian industry is facing, are you still staying positive about the future? We have to face reality. Brazil was very different ten or fifteen years ago. No one would have imagined that Brazil would have the future it seems to have today. For every situation, we have strong and weak forces. Brazil has to deal with this dilemma. We have a lot to do, the youth of Brazil is expecting a new Brazil. The government is aware of the difficulties. We do our part, we try to produce, to transfer technology, to train people, and support them in difficulties, but we cannot change policies or regulations. We are very close to the government, communicating to them what the difficulties are for the industry, for example, our tax system, which has to be changed, or the difficulties with infrastructure and bureaucracy. Brazil opened its markets only twenty years ago or less. The difficulties we are facing today were faced by other countries a hundred years ago. We have problems with energy, which is very expensive, and is a basic component of production. We, as a national entity, try to tell the government about these difficulties but it will take time because we are in a democracy: everything has to be voted on, laws have to be passed, and there are a lot of aspects that we have to respect. We look to the future very positively, and know that we have to overcome all of these situations and difficulties. We have to take out the obstacles in our way, and there is a strong hope for change in the future. We are fighting for this. 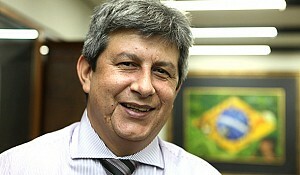 What is your prediction for 2012 industrial output, and what industries are strategic for Brazil? We can only get competitiveness if we have qualified people, technology, and innovation in our products. In CNI, we have a group of CEOs from different companies and sectors, coordinated by the President of CNI, who work to divulge innovation in their companies. We call this movement entrepreneurial mobilization for innovation. We have studies and proposals to introduce innovation in industry. Today the various challenges facing industry in Brazil take away from our competitiveness, but we have to find other ways to be successful outside. We have to also consider that we have a very strong domestic market which is easier for Brazilian manufacturers to sell to. This is another thing that gives a different situation for some manufacturers here. If we have a very demanding domestic market, a lot of different countries would like to export to it, and there is this risk. The domestic market today is not able perhaps to provide for everybody. We need a balance between imports and exports. 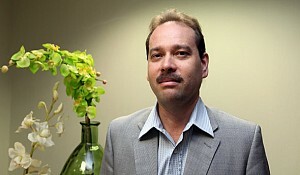 The biotech sector is something that is very new in Brazil and we need a lot of regulations. It can bring a very good improvement for the economy. There is a lot to be done and a lot to be explored. We are trying to do this, to improve regulation in order for companies to produce new products here using our environmental reserves. What would you say is your biggest challenge; is it to persuade the government to come up with policies that would try to help the industries in Brazil? Today, CNI has a key role in the industry. We are close to the government, we try to listen to the needs of the government, but at the same time, we listen to the needs of the industry. We try to bring the interests together. What we try to do is make the economy of Brazil really competitive and try to keep the industry in Brazil. We would like to have a blend of imported companies, and Brazilian companies. We wouldn't like to have manufactured goods coming to our markets without the contribution of the Brazilian industry. 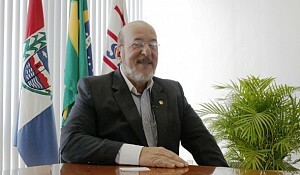 It's a dilemma, because we know that every country and part of the world would like to export, but they are not worried about the fact that we have a very good part of industry here in Brazil and are eager to produce, and give jobs to our population, and provide conditions for people to be competitive. Brazilian products have respect outside, so it's easy for us to have good products and market them outside Brazil. We have to make advocacy of the industry toward the government, and at the same time understand that the government has its own needs, such as money or a trade balance. 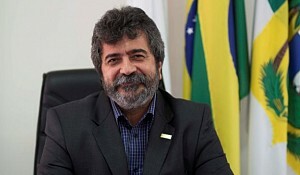 Small and medium enterprises from Europe are now eying Brazil. There are challenges but also opportunities in Brazil. What would be your message to them? We have received a lot of European and foreign trade missions coming to Brazil. These delegations include small and medium-sized companies. They are very welcome here in Brazil, but I think they should come to Brazil in a kind of partnership, bring some kind of technology, bring some know-how, and the Brazilian company will accept this foreign company very well. It will be a marriage between two small companies that need to survive. It's a way to provide products to other countries here. Brazil has a huge space for the development of a lot of different sectors and areas. Our chain of production has a lot of slots where people can introduce their products and technology. That's my suggestion. Bring something that Brazil needs in a partnership with a small or medium-sized company here. They will feel more comfortable with a good Brazilian company, and they will have a future to explore in the domestic market of Brazil and outside Brazil. Brazil has a lot of resources, good manpower, and we have many spaces to develop different products and to introduce new technologies. This is my message: they are welcome, and they have to understand that Brazil wants to be a partner, but a complete partner.